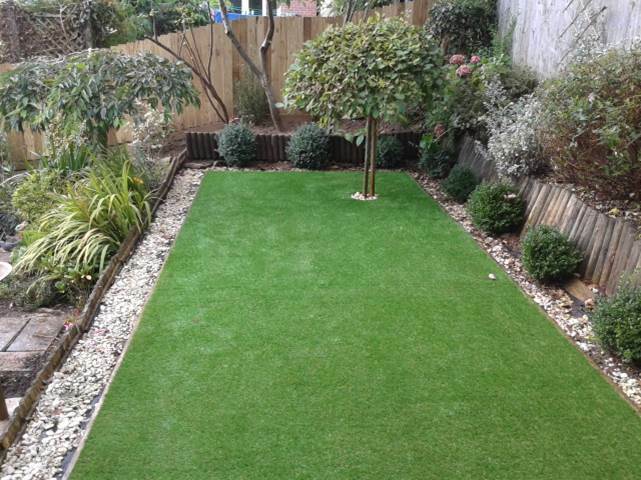 For all pet owners out there, this little project is a perfect example to show how Easigrass is your answer. 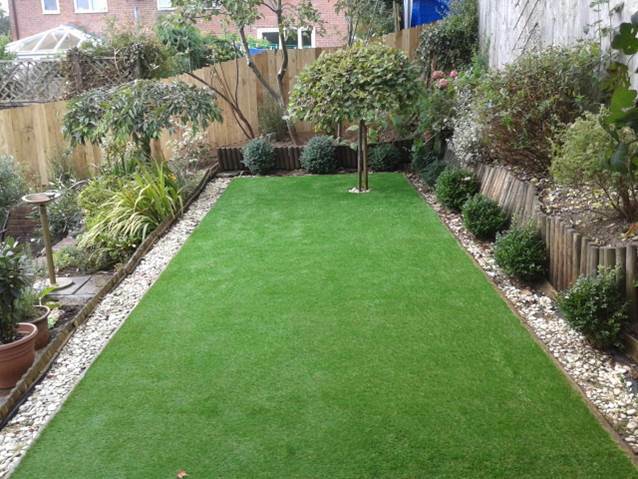 We installed our top of the range Mayfair product in this garden. 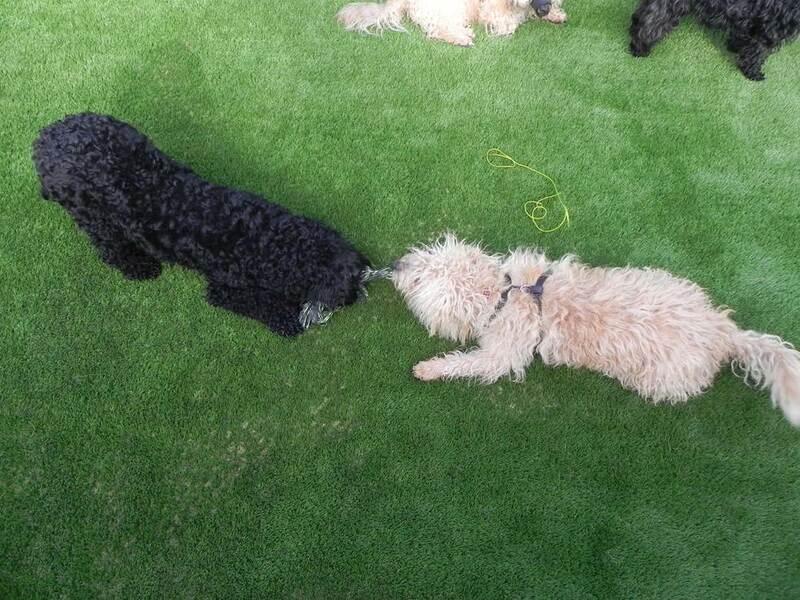 Our client was having trouble keeping the lawn looking good with 4 dogs, and was tired of having muddy paws running in and out of the house. 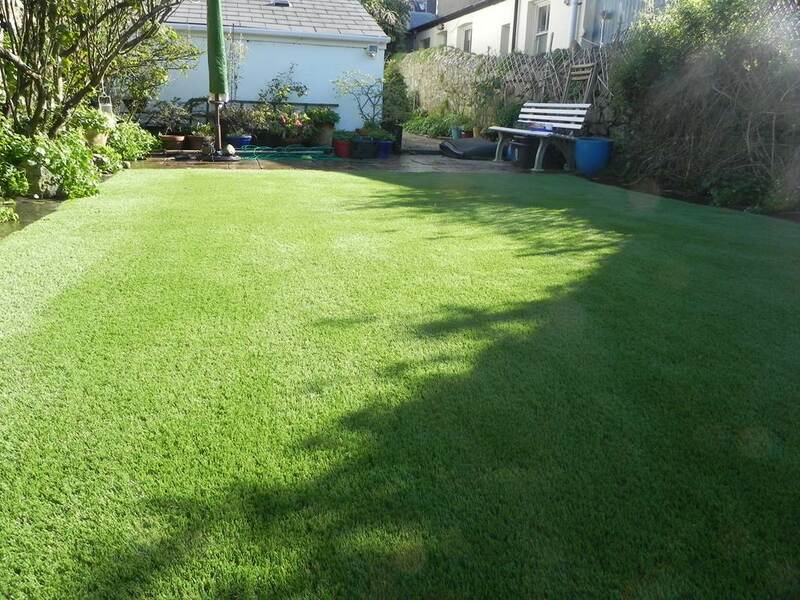 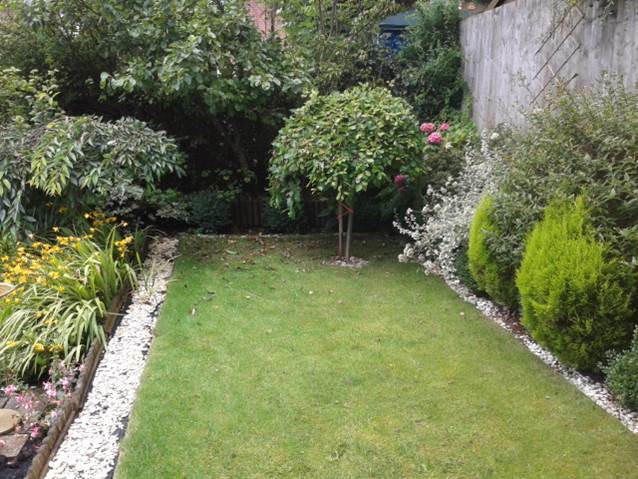 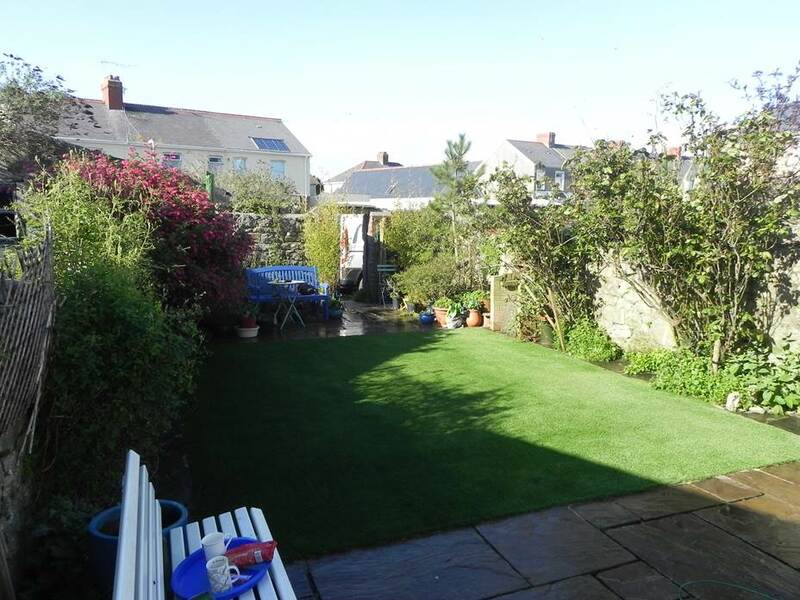 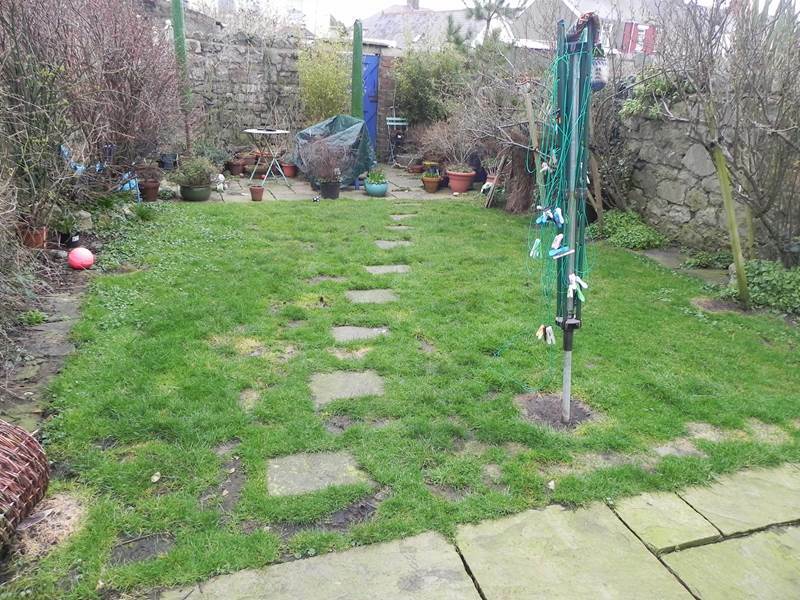 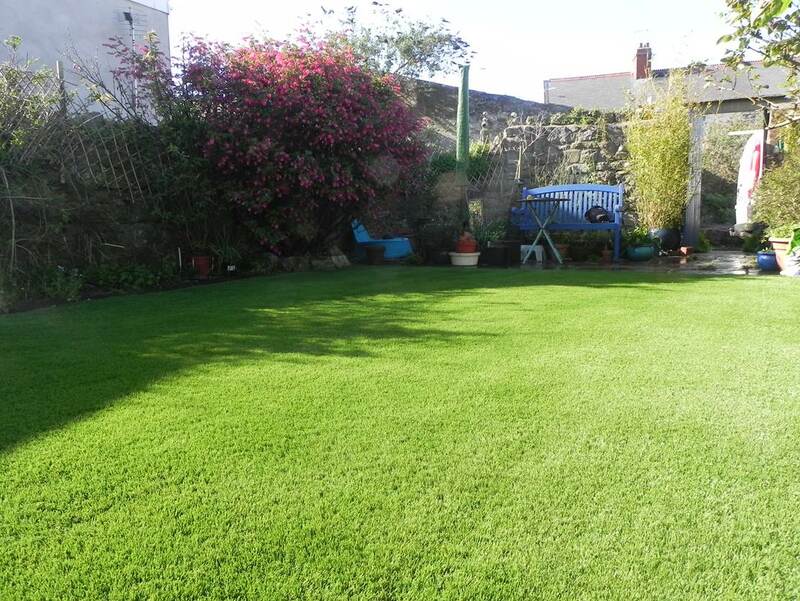 Now this garden has an immaculate lawn all year round. 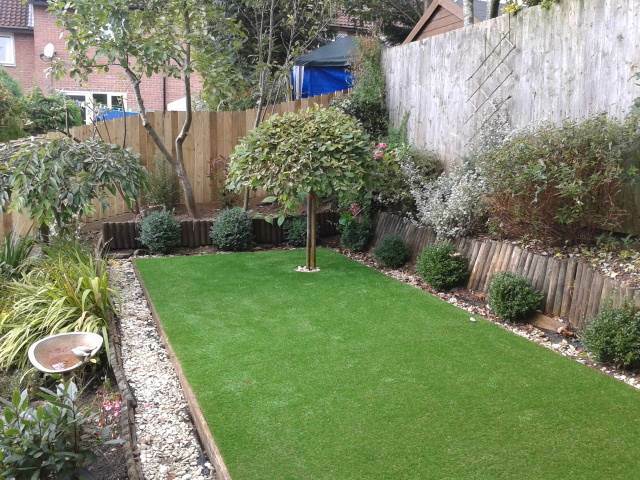 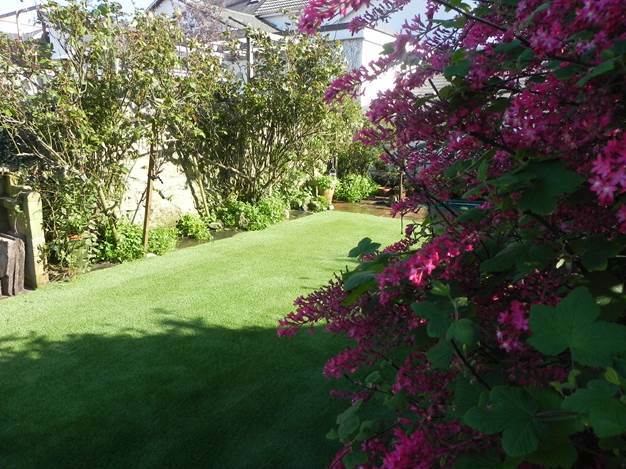 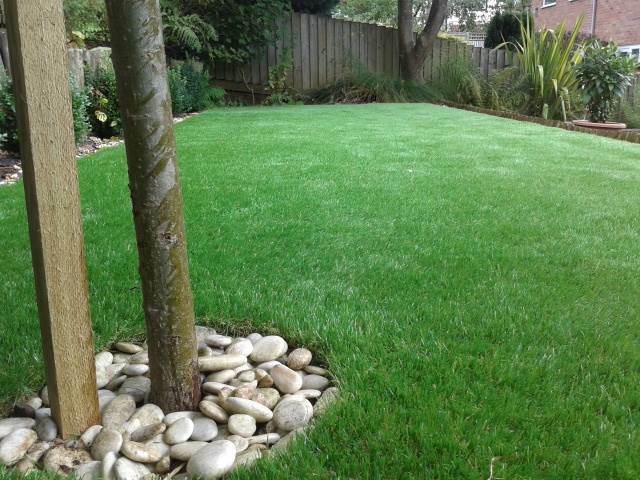 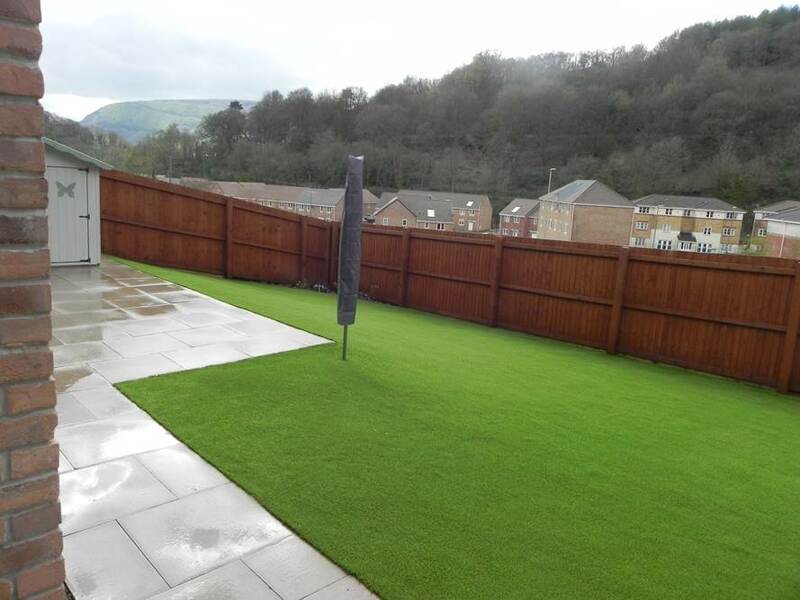 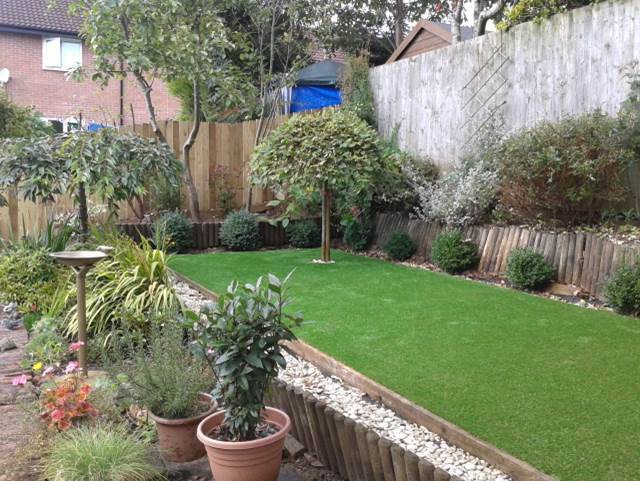 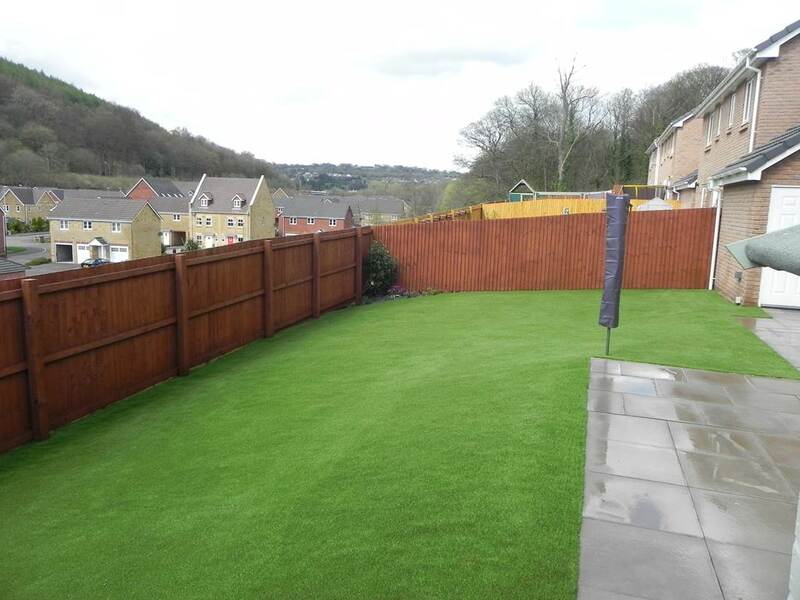 Easigrass can easily be installed on to sloping areas, as this garden shows. 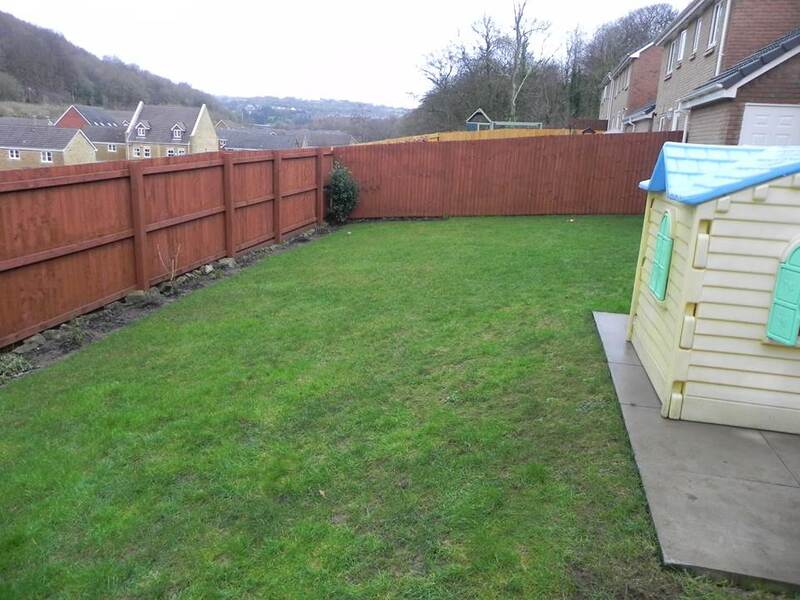 Now this family have a usable play area. 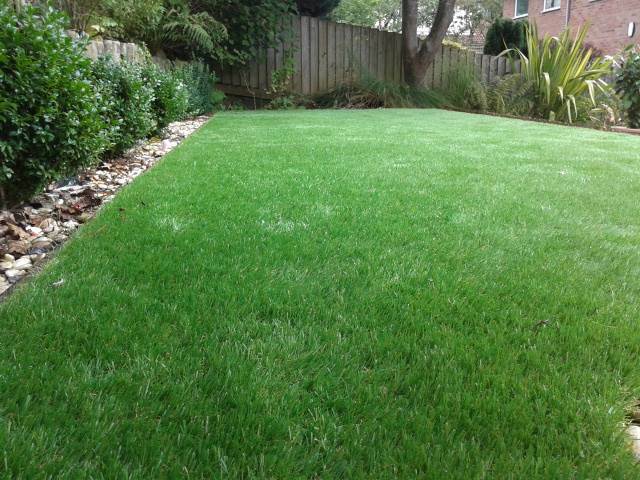 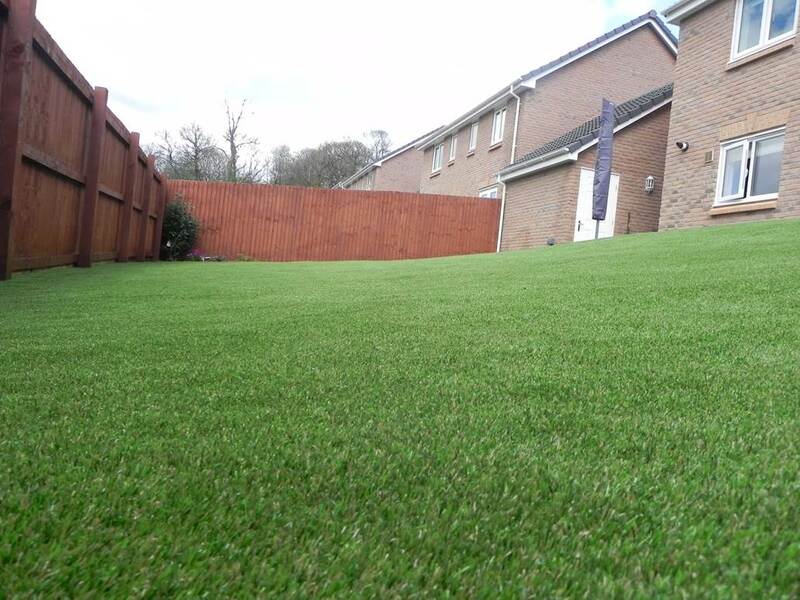 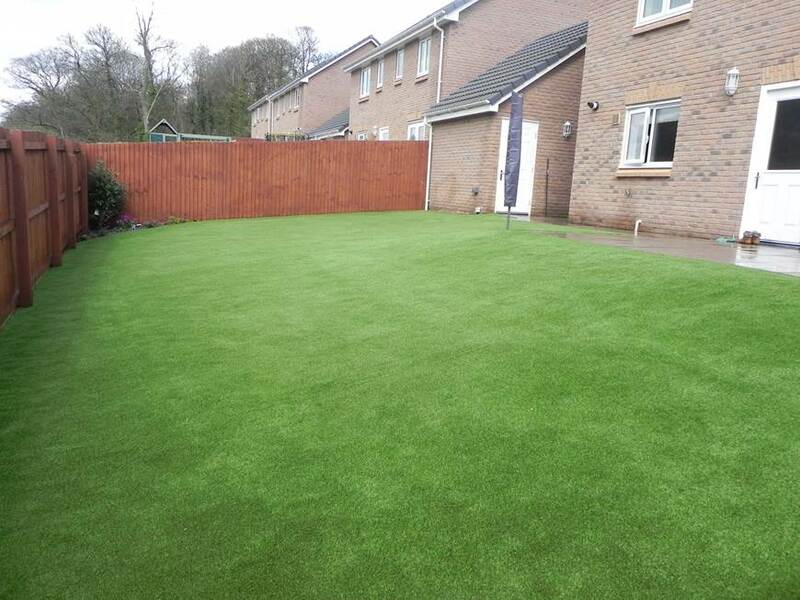 Belgravia is a fantastic 30mm thick leisure artificial grass perfect for families with its soft, dense and incredible lifelike appearance. 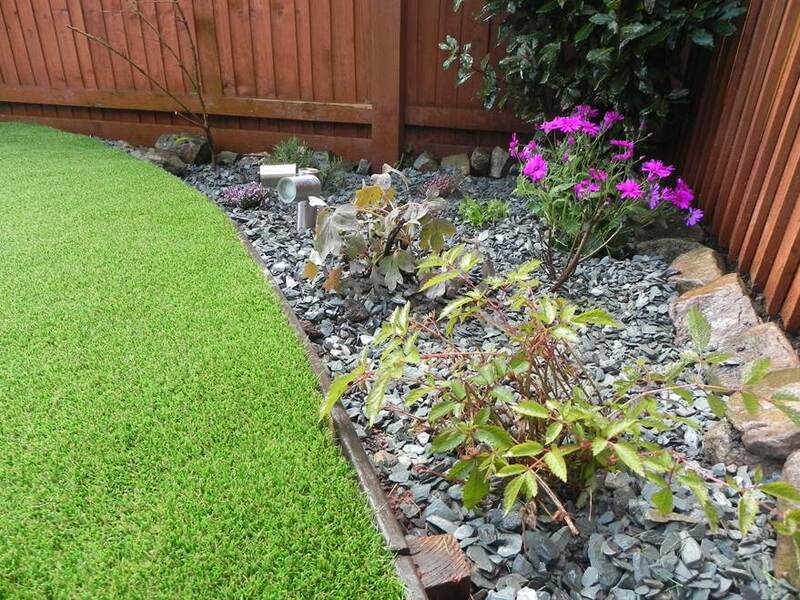 No more slipping down a muddy slope in this garden! 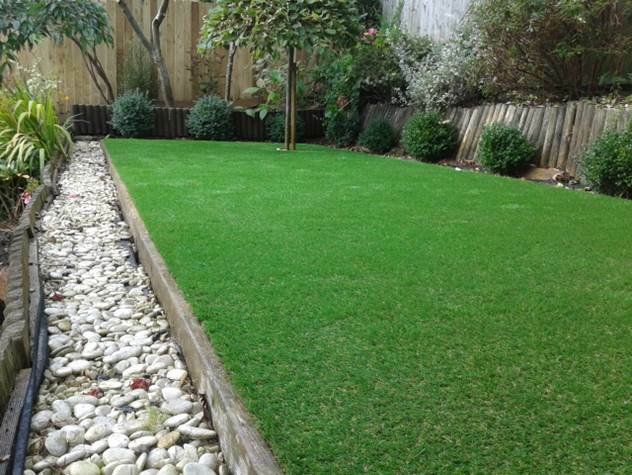 Our client wanted a cut lawn look for this area, so the Kensington was best product for this job. 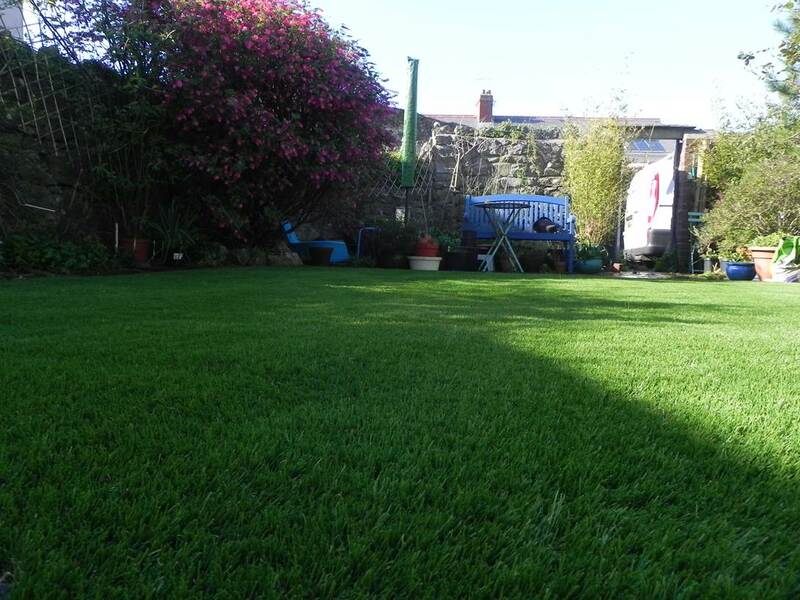 It was hard for our client to lift the lawn mower up the steps to maintain the lawn, so what a perfect way to solve the problem with Easigrass. 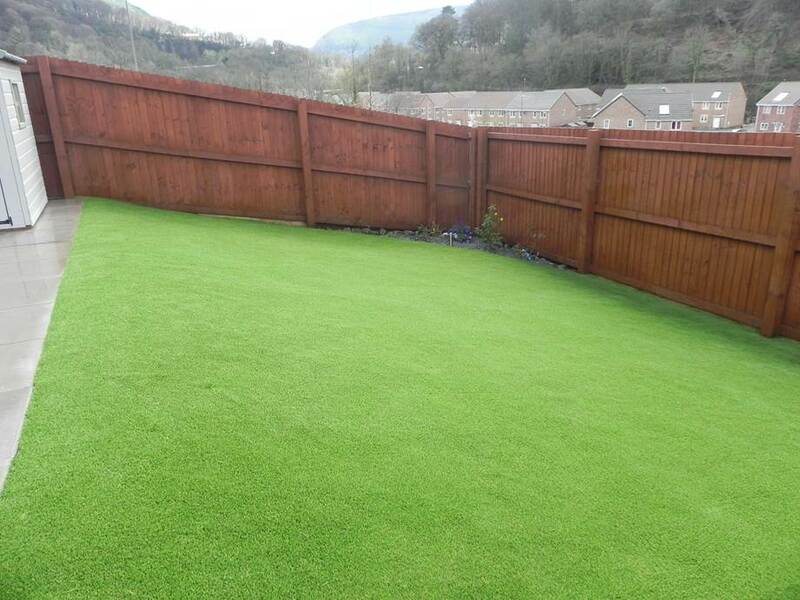 Artificial grass is such a perfect product for people who want to keep that little bit of green in the garden, but don’t want the hassle of maintaining and cutting the lawn every week.